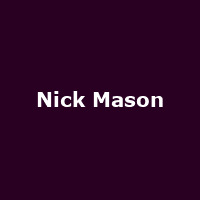 Nick Mason is an English drummer, songwriter, producer and founding member of the prog-rock band, Pink Floyd and Nick Mason's Saucerful of Secrets, a band formed in 2018 playing early Pink Floyd numbers. As a producer he has worked with the likes of Steve Hillage, Gong, Robert Wyatt and The Damned. Mon 29th Apr 2019 Nick MasonSt David's Hall (Cardiff)More Info..
Tue 30th Apr 2019 Nick MasonFriars (Aylesbury)More Info.. Wed 1st May 2019 Saucerful of Secrets: Nick MasonThe Corn Exchange (Cambridge)More Info..
Fri 3rd May 2019 Saucerful of Secrets: Nick MasonRoundhouse (Camden)More Info..